Our tours are an incredible way to get under the skin of a country – with first-rate access to people and places as well as great analysis and experts. With less emphasis on guides or ordinary tourism the tours are like being in a documentary film. You’ll go off the beaten track, meet incredible people from senior politicians to members of local communities. And at the same time you’ll have a top journalist, diplomat or academic helping you out along the way. You get to ask your own questions and make up your mind about some of the most fascinating areas in the world. It’s unique, exciting and stimulating; an experience you will never forget. Our customers frequently say it is something they could not do on their own. And with nearly all costs included in the tour price – except for your flights – they say it is great value for your money. Nicholas Wood first had the idea for Political Tours when he working as a correspondent with the New York Times in the Balkans. A hitch-hiker from California followed him in Serbia and Kosovo for four days while Nicholas was writing a story and was gripped by the experience. After leaving the New York Times he went on to found the travel company in 2011. Since then he has been joined by his wife, Karen Davey, a former South African doctor, and together they have led tours in over 30 countries. 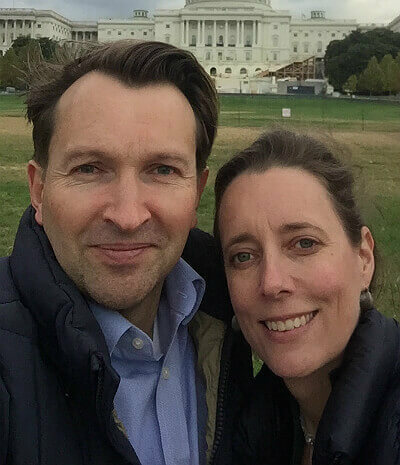 Based near Oxford in the UK, Political Tours is the only travel company in the world to specialise in news and current affairs and has been recognized for its ground breaking work with Nicholas repeatedly winning Conde Nast’s top travel specialist award. Our groups really are small with never more than 14 people (most groups average around 9-10). You to get engage face to face with people, as well as the experts, providing for a more intimate travel experience. Meeting in Tehran with one of Ayatollah Khomeini’s close associates from the Iranian revolution. Talk with former head of Shin Bet, Israel’s security agency. Discussions with one of the leading negotiators of the FARC who signed a peace deal with the Colombia government in 2016. Visit to one Russia’s leading TV channels and meeting with their news presenters. Tea and talks with Israeli settlers in the West Bank, and lunch with a Palestinian women’s group in Nablus. Visiting troops in Lithuania tasked with defending their country against a potential Russian invasion. 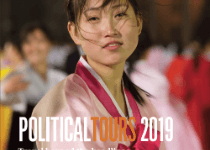 For many people joining a Political Tour is quite a novel concept and we’ve found it useful to share some guidelines with customers on what to expect, and how we operate the tours. The aim of each tour is to flow like a documentary. We visit places, whether it’s a family, village, factory, town or community with the aim of building up a complex overview of a country. The tour experts are narrators that join the dots. In other words the expert is part of a broader story, and they assist you as we navigate our way through different communities, meetings with people, politicians and other experts. It is an incredible experience and we encourage you to get involved as much as you wish and ask your own questions. As we follow politics and meet with people actively involved in politics, the itinerary can change depending on availability and current events. We will have to change meetings on most tours. Occasionally we cannot meet with someone as they are no longer available and we will then provide substitute meetings. We also like to be able to take advantage of any situation that presents itself and be flexible. We confirm the start time of each day the previous evening, the tour leader or expert will let you know what time to meet in the lobby. You need to have had breakfast by this time and be checked-out if we are moving to the next hotel. The day starts with the tour expert or experts giving an overview of the day ahead: We will give you an overview of the meetings and places we visit during the day, as well as where we are eating. If there have been changes to the itinerary we will let you know. Throughout the day the experts will discuss the key themes in the country’s recent history and politics. They will introduce the relevance of the meetings ahead and places you are about to see. You will slowly weave all the elements of the tour together, building up a nuanced view of the country. These are some of the most valuable parts of our tours where you get the opportunity to put your own questions to politicians, experts and ordinary people. Our experts start the conversation and then open sessions up to questions. Frequently we’ll take a look back over the day, and also perhaps on the bus after each meeting we may go round and get everyone’s impressions and thoughts. There’s a lot to absorb and we find it useful for the experts to run over things, and answer any questions that people may have. It is also an opportunity to share your own reflections as well. Nobody has to take part unless they want to, but normally we find experts and the participants all have valuable contributions on tour. There are frequently a few good debates! As a rule we eat a light lunch, and sometimes on the bus or on the road between one place and another to fit in with the itinerary. Dinner is a larger meal with 2 to 3 courses depending on the occasion (except where you have the evening off). Drinks (except for still water) are not included and we ask you to keep a tab of what you have had to drink. This includes any alcohol, juices, teas, coffee or sparkling water. The waiter will charge you at the end of meal, or your tour manager will collect the money. Smoking is not permitted during any part of the tours activities. If you need to smoke please do so away from the group and outside.